Detroit Dirt is a compost company. Detroit Dirt is the leading model of organic waste recovery and reuse in Detroit. Their mission is to create a zero-waste mindset throughout communities and drive forward a low-carbon economy. They process food waste, green waste, spent grains, and herbivore manures and make HIGH quality compost using an aerobic process. It is so powerful watching Pashon’s passion come to life each day. She inspires me as a young black woman in Detroit to dream big, work hard and never back down. Pashon captivates the world with her story, her vision…her passion. She’s resilient too, she takes the highs with the lows and handles every challenge with wisdom and grace knowing that God has called her for a purpose greater than the obstacles in her way. 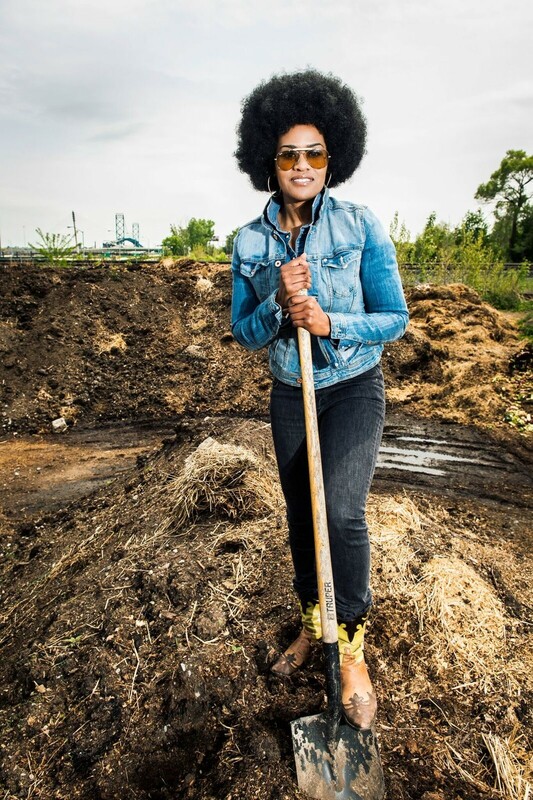 With Detroit Dirt, I am learning so much more about the soil, our earth and myself. I’ve learned that America alone wastes about $218 billion on food waste annually. I’ve learned that up to 40% of food in America goes into landfills while 1 in 7 kids are food insecure (1 in 3 for African American children). I’ve learned that it takes 500 years to develop 1 inch of soil. I’ve learned that we only have about 60 years of healthy soil left to sustain life if action isn’t taken. But most importantly, I’ve learned that restoring the carbon balance on earth requires everyone from all races, reputations and religions to come together for a better future…well a future in general. We are all connected through the soil. Pashon is the most passionate woman in Detroit. She is high fashion with a high action fro. She is motivated and dedicated to help change our city, our community and our world. I am so blessed to be a part of this movement.